*2019 Photo Prices. All photos include basic post process editing for quality prints. Airbrushing and retouching is extra (blemish, scar removal) as well as toning & filters. ***Prices may vary depending on distance of photo location, additional photo subjects, additional time, or print upgrades. Please inquire for event pricing (corporate, secondary wedding, vow renewal, birthday parties, religious ceremony), athlete/team sports photography, studio work, head shots, product photography, business & greeting card design. Photo restoration services are available. Please click here for examples. ***E-Surface prints are high quality, standard prints. Higher end prints are available. 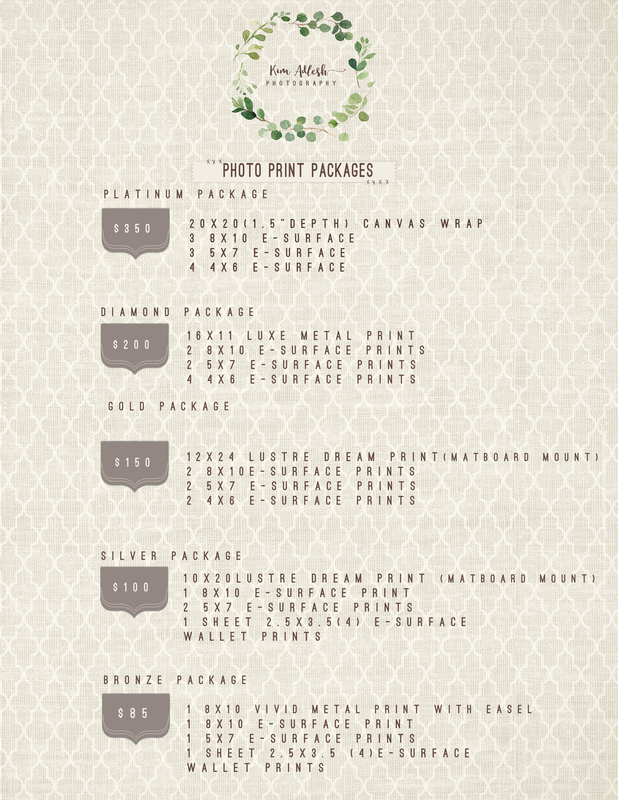 ****Photo Print Packages may not be altered. 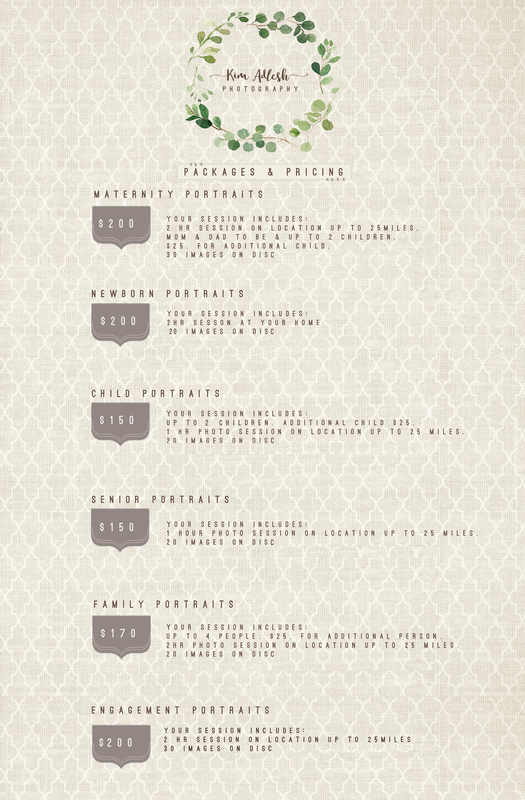 Custom packages are available upon request. Please contact me for more options. *****Canvas Gallery Wraps, Luxe & Vivid Metals, Dream Prints and more gorgeous wall art are available to purchase individually, as well as a wide range of photo books, magnets, Luxe Photo Discs and other keepsake gifts. Click here for product description. Inquire with me here for pricing.